"The cushion is well stuffed & it’s easy to use. It’s size makes it really useful, especially for when you’re travelling. Sienna looked so comfy laying on it." "It slides on like a swimming armband. It’s a good portable feeding cushion for when you’re travelling or at friends. It would fit in our suitcase perfectly." 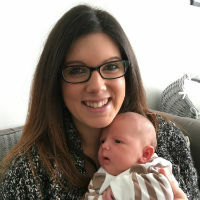 "This is a great product for pregnancy right through to nursing bubs. With its easy travel strap you can take this cushion anywhere with you too." The HushCush Nursing Pillow is great for lower back support, or as a wedge pillow when you're pregnant. When bubs arrives and needs feeding, it keeps their head, neck and spine in alignment for better latching on. 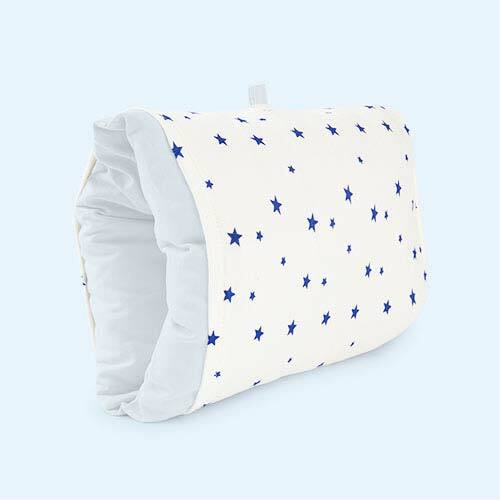 Ergonomically designed to aid baby's digestion, we love how this cool pillow also retains your scent, which can help settle bubs too.